I decided tonight that I wanted to do something artsy. I need passengers for those BRAWA cars. 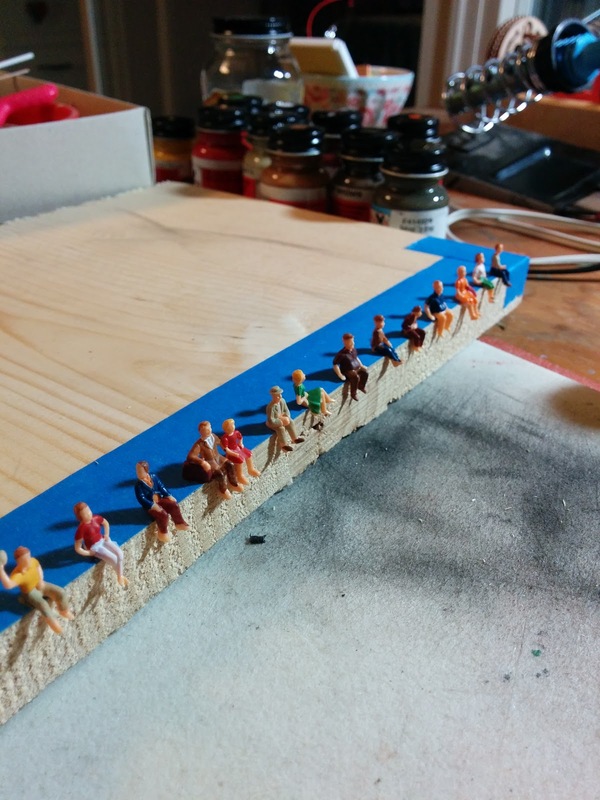 I got a Model Power pack of unpainted sitting people a few years ago. They are not super detailed, but were cheap and since they are going to be sitting inside a car, I don't need to get them perfect. Here's the first batch finished. Phew, I'm back home after a long weekend... 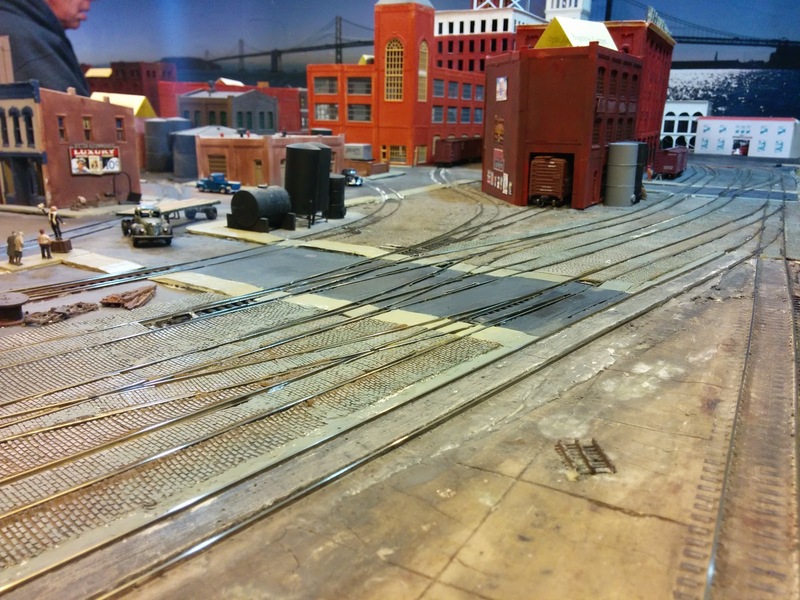 It started off on Friday evening with a short visit to Silicon Valley Lines to test run switching at the paper mill. I'm quite pleased with the track arrangement. My test run involved a turn from Nowheres Yard with 12 cars switching out 13 cars that where already at the paper mill complex. 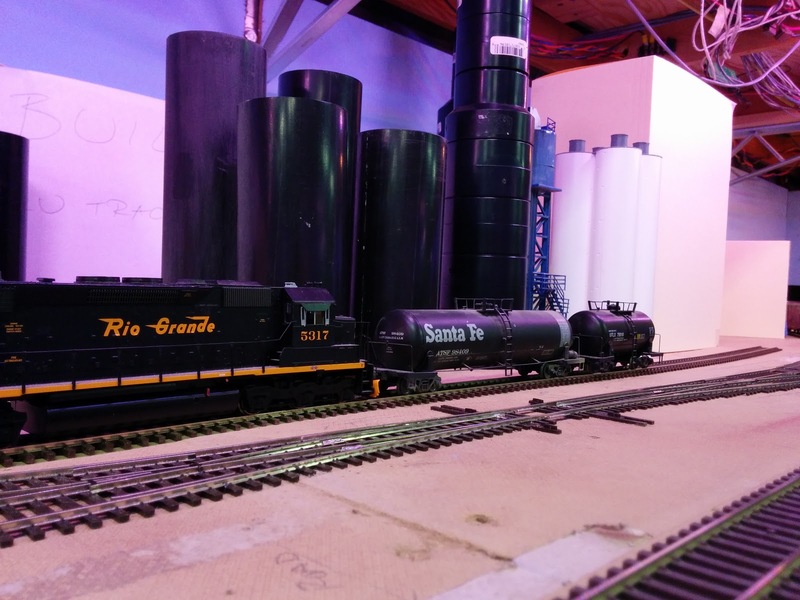 The paper mill yard and loading tracks can take up to about 30 cars and still make it an enjoyable switching exercise. First test run to switch the paper mill at Silicon Valley Lines. Saturday morning I left the house early to make it to the LD/Ops SIG meet in Novato in time for the 9am start. There were great presentations and discussions, familiar faces, hallway chats, and lots of new ideas to think about. LD/Ops SIG meet in Novato. After a good dinner it was time for the evening layout visits. 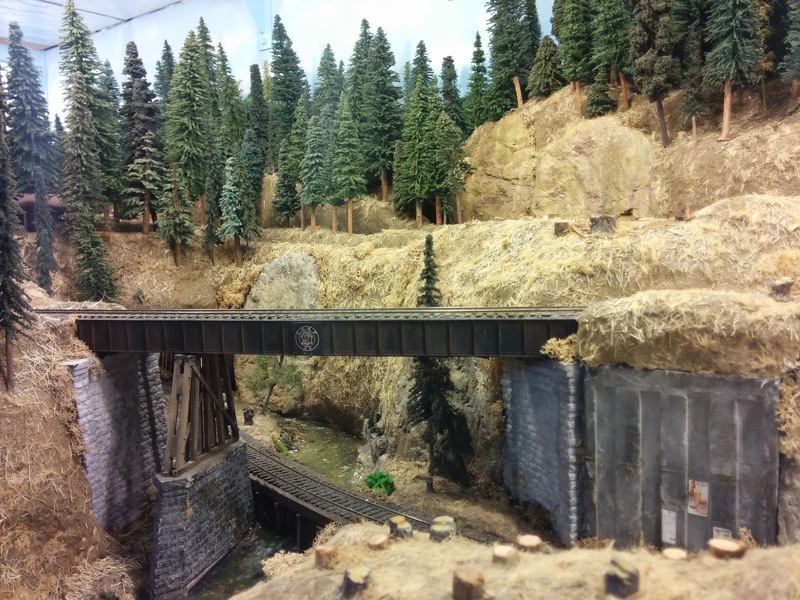 Here are some interesting details of the various layouts that I visited. 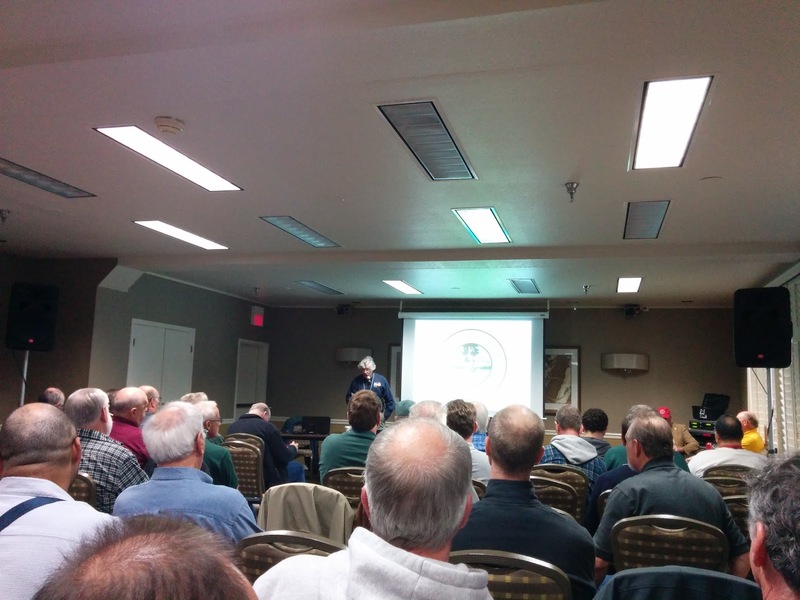 I stayed over night in Novato, and went to Andy Schnur's Chesapeake & Ohio for the Sunday operations session. This was (once again) a great weekend of trains, friendly chats, learning something new, and of course lots of fun. 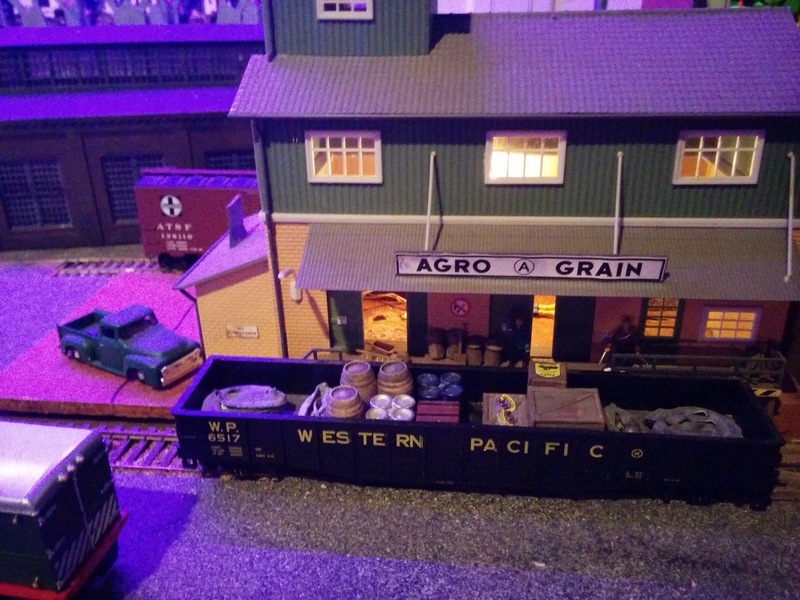 A big thank you to the organizers and presenters, as well as to everyone who opened their home to let people visit and/or operate their layouts. Oh, what is that? 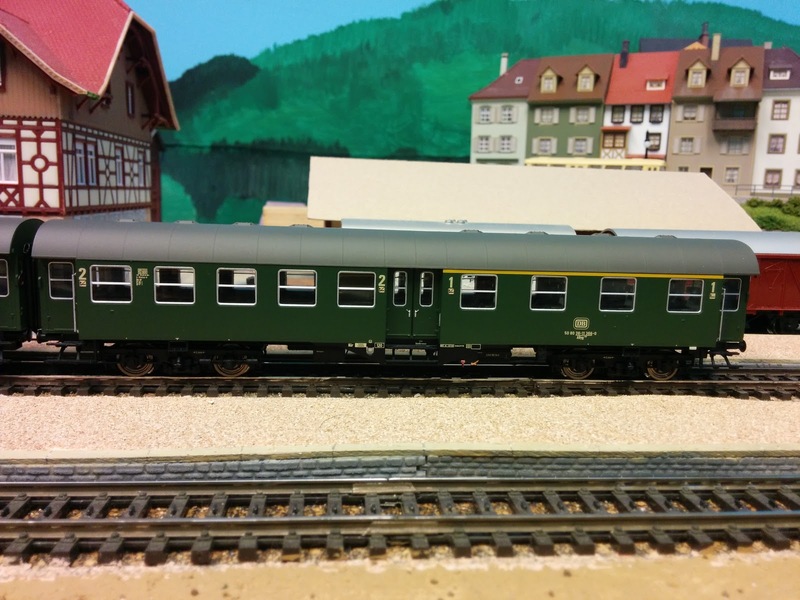 My order of Brawa's BD4yg and AB4yg passenger cars came in (product number 46057 and 46054 respectively). 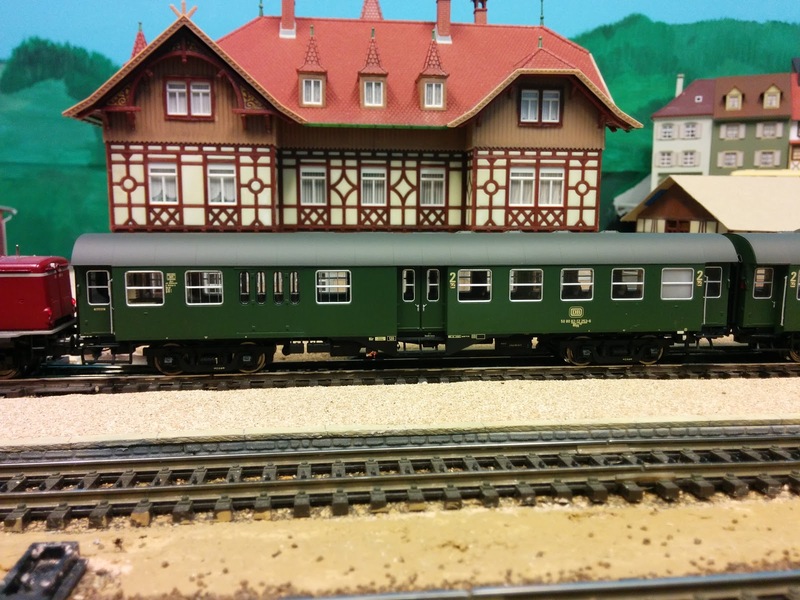 These are beautiful models of an ubiquitous German passenger car type. 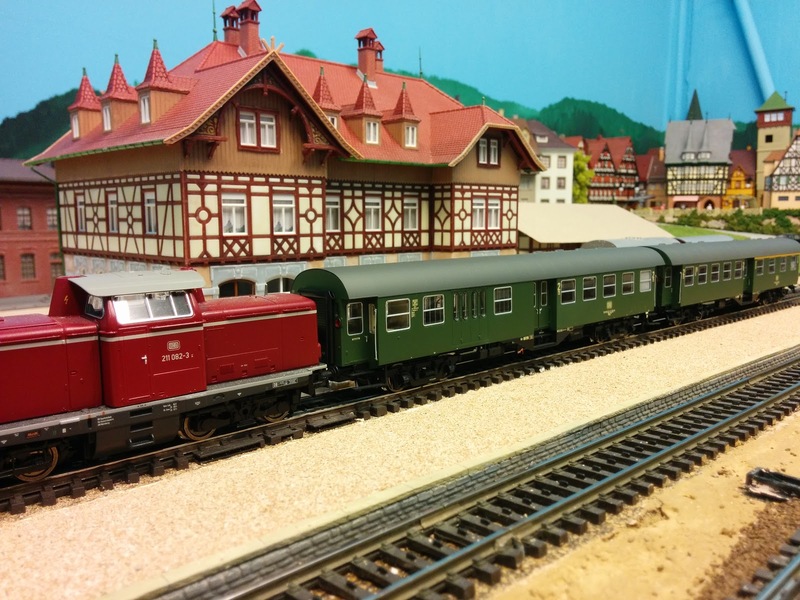 In the 50's and 60's Deutsche Bundesbahn (DB) rebuilt these passenger cars reusing the frame and trucks from former state railway compartment coaches. New steel bodies were put on the frame and new interiors installed. In the early 70's when the Welztalbahn is set these "Umbauwagen" were in common use all over Germany. It wasn't unusual to even see a mix of 3-axle car pairs and 4-axle coaches in the same train. I intend to do the same for the two regional train pairs I have on the schedule for the Welztalbahn. Take a look at the Wikipedia article for more background and history on the prototype of these cars. The underbody detail on these cars is impressive. This is part 2 of the Introduction to the Welztalbahn, part 1 can be found here. The visible portion of the layout (shown in black above) models Talheim on the middle level and Emsingen on the upper level. Lower level Staging represents Freiburg, Hausach and points beyond. There is a staging loop on the middle level that represents the branch line to Prechtal. 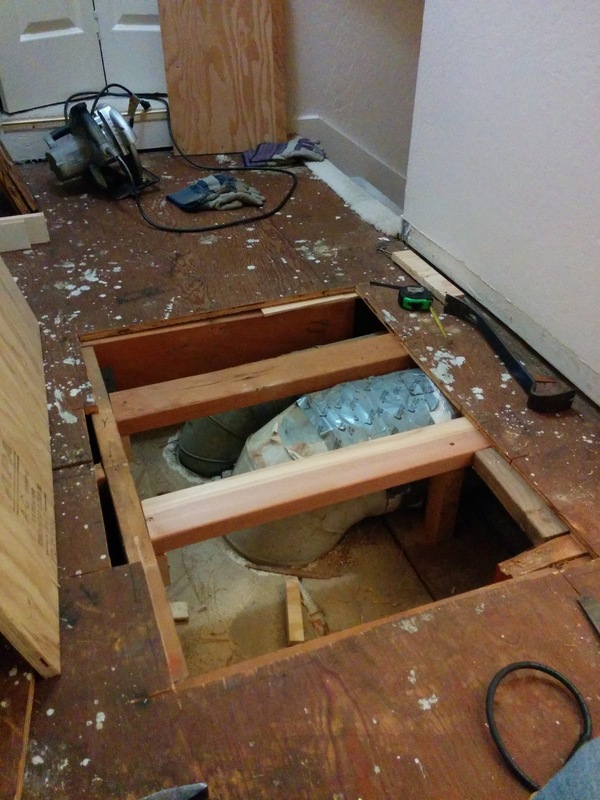 The layout is located in a 8x9ft room and built in three levels connected by ramps. Vertical separation between levels is about 4.5 inches. The lowest level is entirely staging and represents Freiburg and Hausach as the southern and northern ends of the line, as well as points beyond. 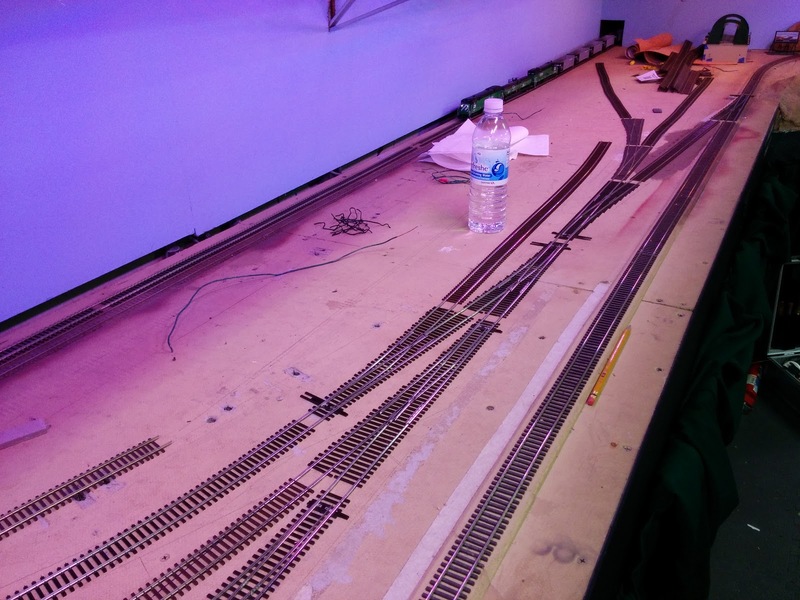 Main staging is double-ended and is used for trains that make multiple appearances during a session (mostly local/through passenger service and some unit freight trains). 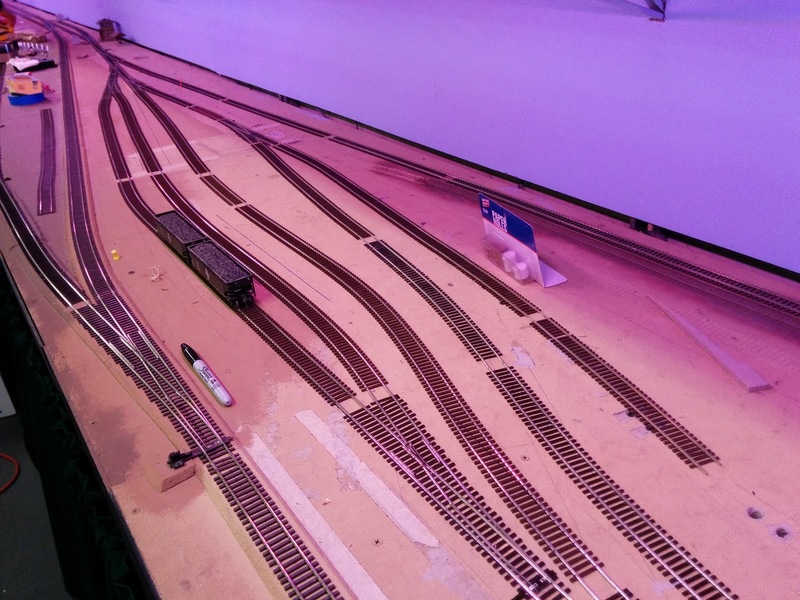 Stub-ended Aux staging on the right is used for trains that make one appearance during the session (local freights). At this time there are no predetermined staging tracks for specific locations or trains. 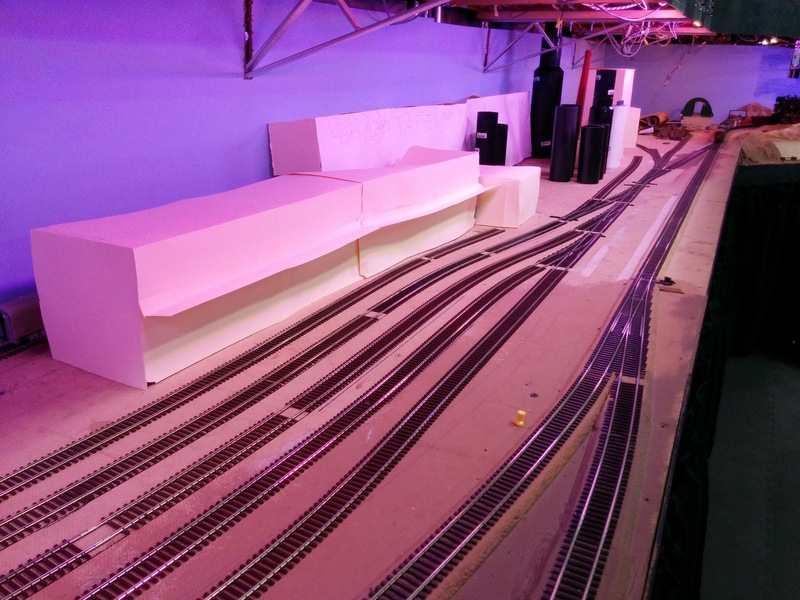 Aux staging is fairly accessible and can partially be used as fiddle yard. Main staging is harder to reach. 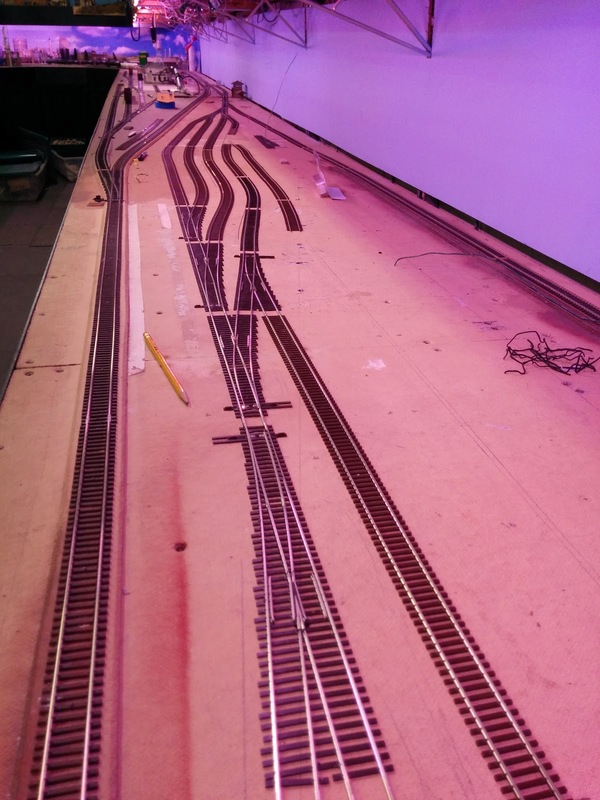 Staging is accessed via a double-tracked ramp along the back wall. Talheim has two main industries: Werner & Soehne (machine factory) and Kopper Moebel (furniture factory), as well as a team track, a saw mill track, and an agricultural supply warehouse. 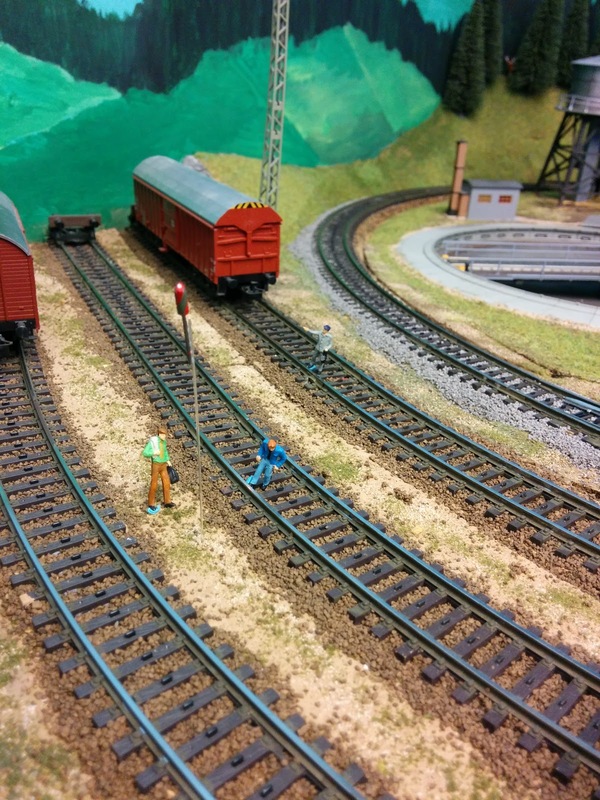 Emsingen has multiple sidings, a small yard, and engine facilities. The engine facilities stem from the early days of the line when many trains needed helper service over the grade to Hausach. 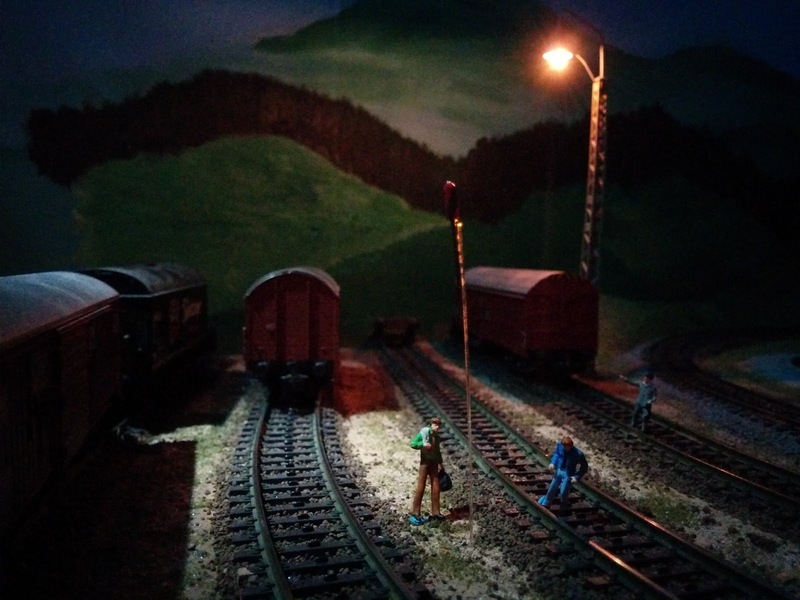 Today it services the engines of the branch line, and is home to the local switcher. The turntable is occasionally used to turn the locomotive of passenger locals from Freiburg. 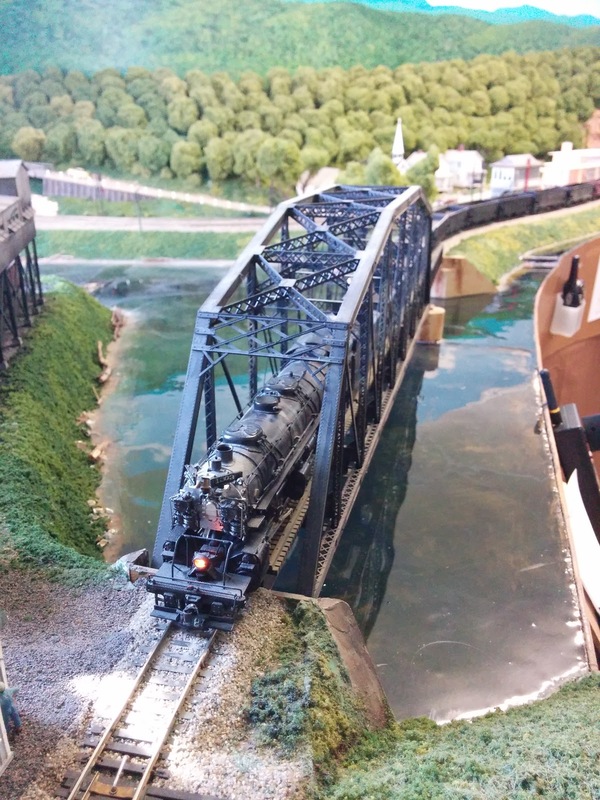 The Welztalbahn is a fictional railroad. Locations and setting are loosely based on the actual Elztalbahn, a single-track branch line, which runs from Denzlingen to Elzach. For the purposes of this document I assume that a planned, but never completed connection between Elzach and Hausach was actually built, and thus more interesting traffic flows on this line are possible. The Welztalbahn is an electrified single track mainline branching off the double-track mainline Offenburg-Freiburg near Denzlingen in the Rhine valley and leading through the Welztal ("Welz valley") via Talheim and Emsingen meeting the Schwarzwaldbahn in Hausach. There is a short branch line that leaves the main line north of Emsingen towards Prechtal at the northern end of the Welztal. 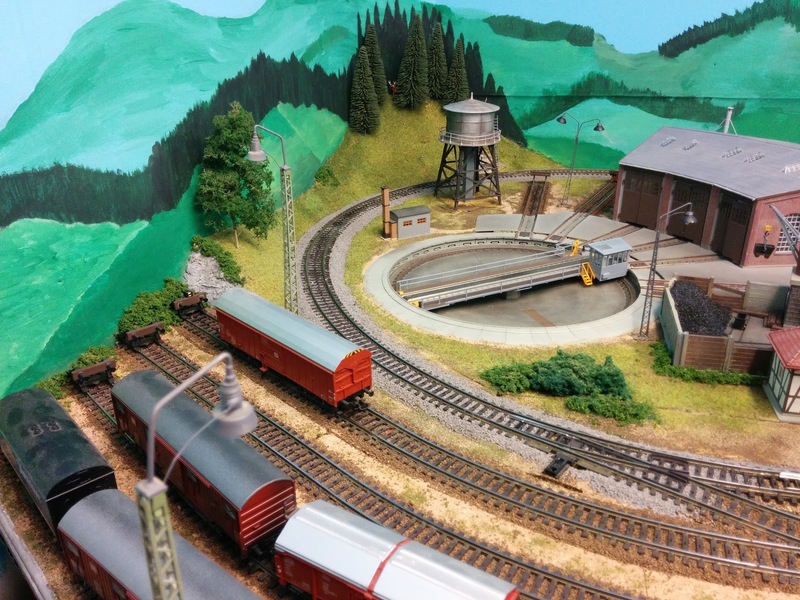 Prechtal has a quarry and related industries, as well as light industry that accept and ship their products by rail. The earliest plans for the Welztalbahn were commissioned in 1865 to improve access from industries in the southern Black Forest to the rest of Grossherzogtum Baden. The war of 1870/71 between Germany and France delayed the start of construction. The line was operational in late 1875. The map below shows major rail routes around and through the Black Forest in south-west Germany. The Welztalbahn is marked in bright green. Today (1972), shortly before it’s 100th birthday, the Welztalbahn sees mostly local passenger traffic from the valley towards Freiburg, as well as a several Eilzug-pairs between Freiburg and Stuttgart/Tuebingen respectively which use the Kinzigtalbahn and Welztalbahn via Hausach as the shortest connection from locations north-east of the Black Forest to Freiburg and Basel. Due to the grades and tight curves most heavy through freights use less steep alternative routes around the Black Forest. However, occasional unit trains can be seen on the Welztalbahn. There are daily local freights originating in Freiburg and Hausach respectively to serve industries along the Welztalbahn, and the Prechtal branch line. Before the show: View from my seat. Yes, we actually sat in the first row. 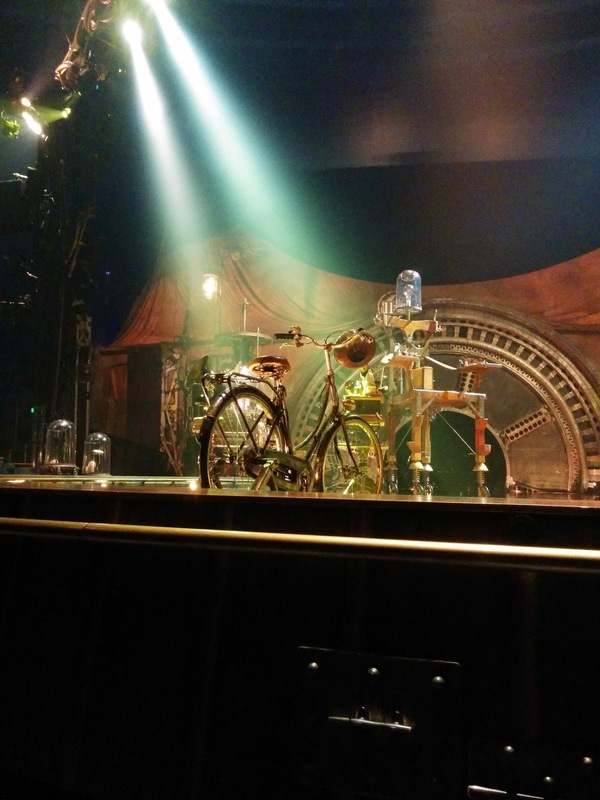 My lovely wife gave me tickets for Cirque Du Soleil's performance of "Kurios" in San Francisco for my birthday. After an excellent dinner at Walzwerk, we headed down to Mission Bay. 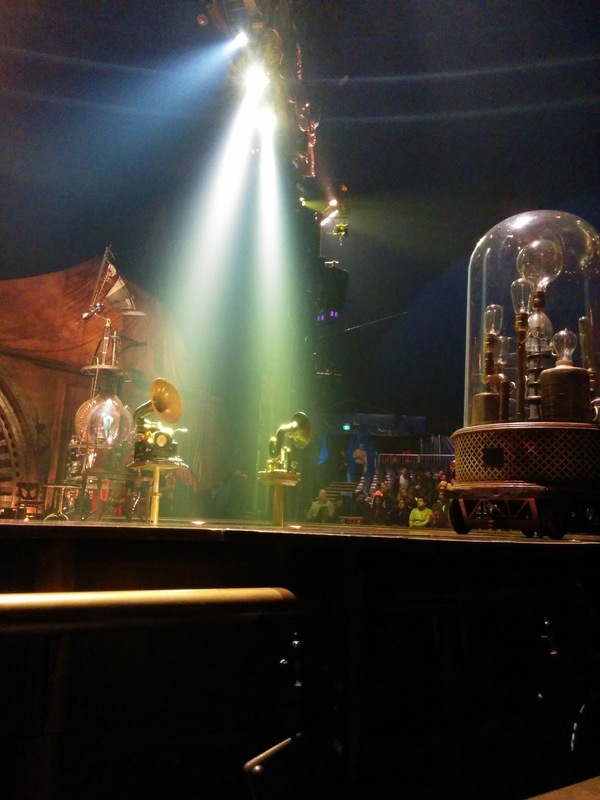 As with many Cirque shows the story is quite fantastical, following the adventures of a somewhat looney inventor. 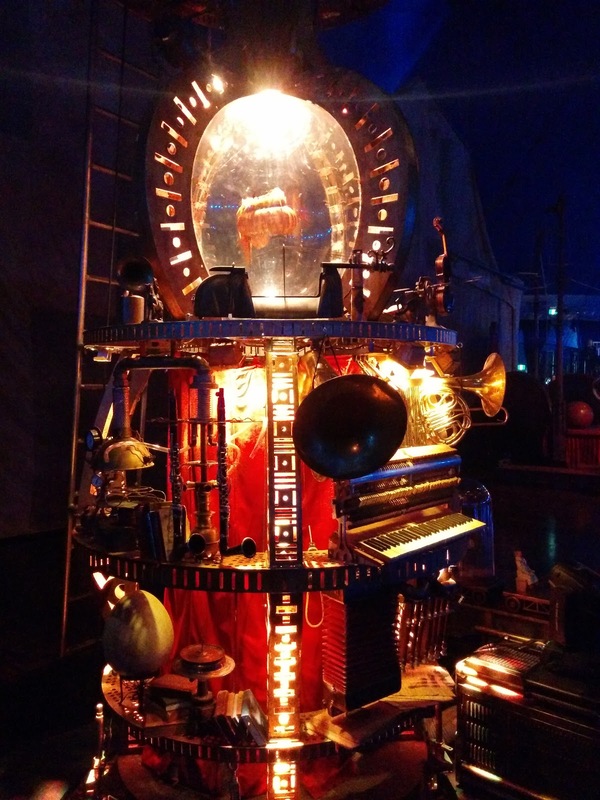 Decorations, props, and many of the costumes have a strong steam punk influence. There were several little technical gizmos that moved around, or made sounds, or both. So much fun. What sets this one apart though were the lovable characters, and how the artists pulled the audience in. You could feel the anticipation of tough parts, the joy of getting them right, the laughter at funny passages, and the worry about acrobats way up near the top of the Big Chapeau as they perform. I didn't bother taking photos during the show. My smartphone camera wouldn't capture the atmosphere anyway, and I didn't want to miss a moment. 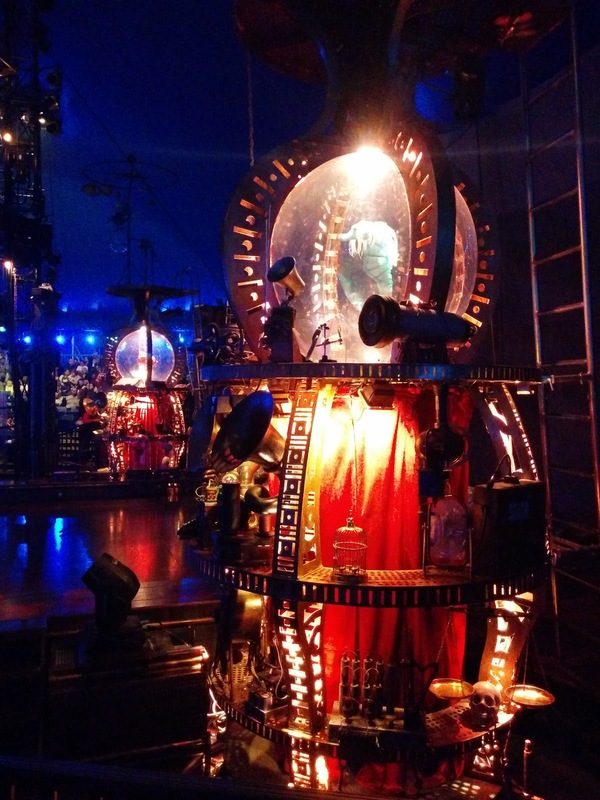 Whether it was the trampoline artists, contortions, the invisible circus, balancing acts, wild music, or an upside-down world where a tower of chairs gets built up and down. The many details surrounding the artist's performances were always worth a second look, too. We had a great time last night. 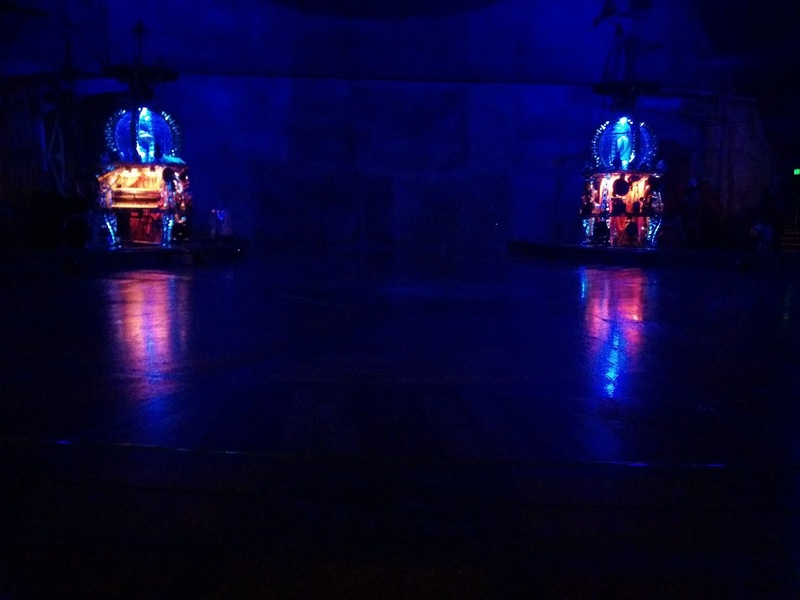 With Amaluna, which we saw last year, Kurios is one of the better traveling Cirque shows. Much better than we expected. 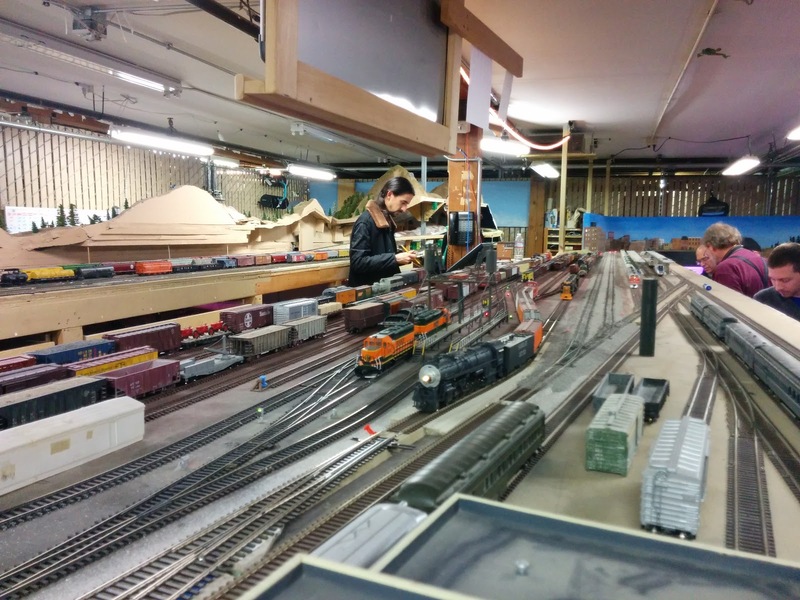 Since various visitors were in town for the 100th show of Model Rail Radio, at this month's Silicon Valley Lines Ops session I got to operate a couple trains instead of doing my usual assignment to run Nowheres Yard. 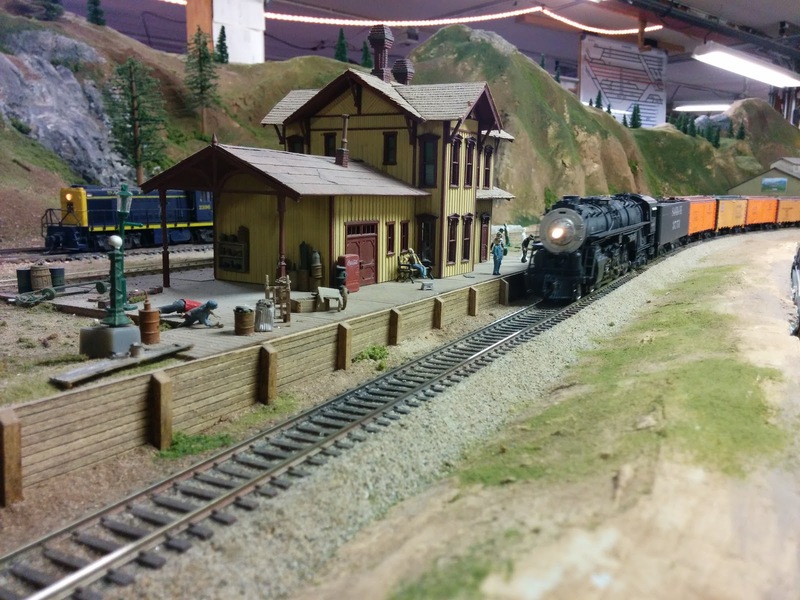 This Ops session was set in the transition era, so various trains ran with steam engines, as well as early diesels. Here we see train #102, the southbound ice bunker reefer leaving Nowheres Yard, after having switched out and picked up several cars at the PFE Exchange. 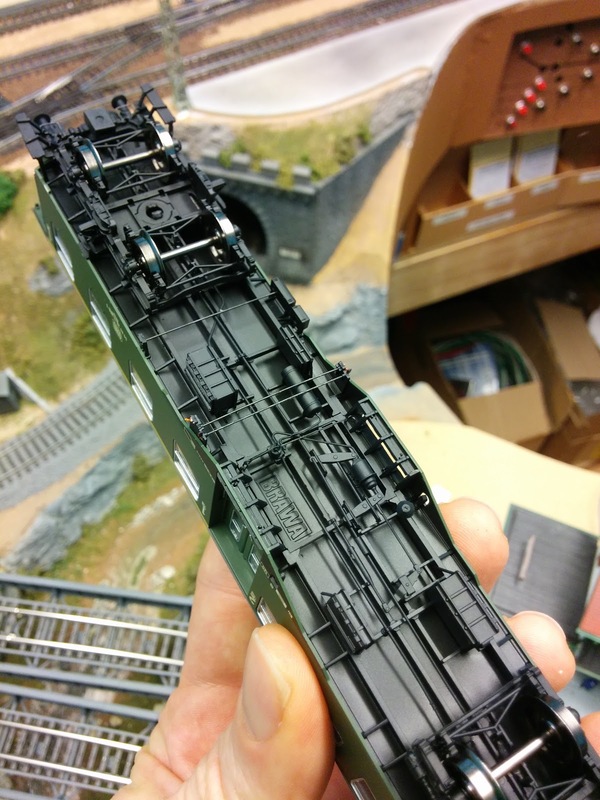 The ice bunker reefers are high priority trains on the layout, so most other trains have to get out of the way. I love the station building in Mt. Marvel. I re-added mockup buildings for the paper mill. Power house, chemicals unloading, truck ramp. Recycled paper / pulp warehouse on the right.. Finished paper warehouse with paper machine building in the background. 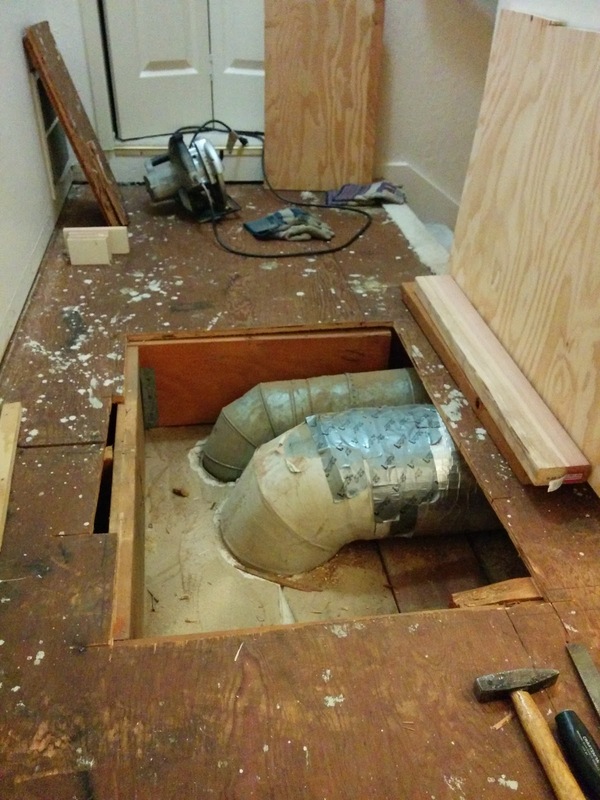 I ran out of time tonight, so the last bits of flooring in front of the closet will get done some other time. 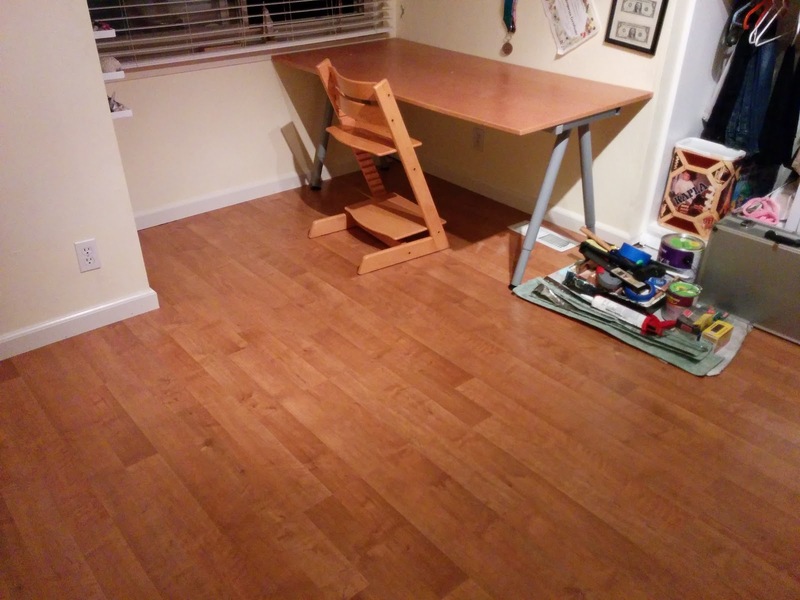 Aside from touch-ups the rest of the room is done. 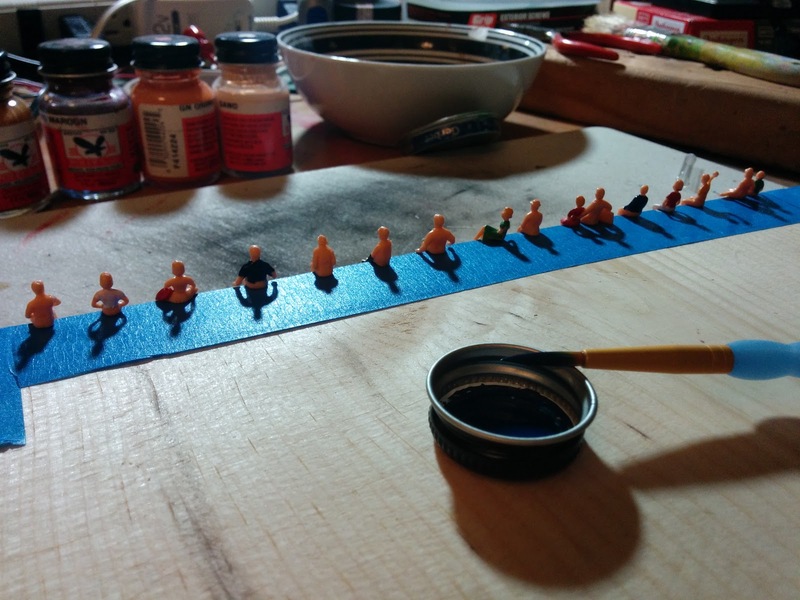 I decided on a whim late in the evening of New Years Eve to put an appropriately themed photo on the Blog. So I went to the train room and ... cobbled it together from what I could find in my supplies. The obviously oversized rocket is made from a small piece of styrene pipe. The wood stabilizer is represented with a bit of wire. I painted the styrene to finish the rocket ... and should have used brighter colors, since the rocket becomes really dark and hard to see in the final photo. The rocket got super glued to a strand of glass fiber from the MicroMark fiber experimentation packet. The fiber is threaded through a small hole through the road bed. I used BlueTack to hold the rocket launchers (which are actually just random passengers), and the switch man in the background in place. 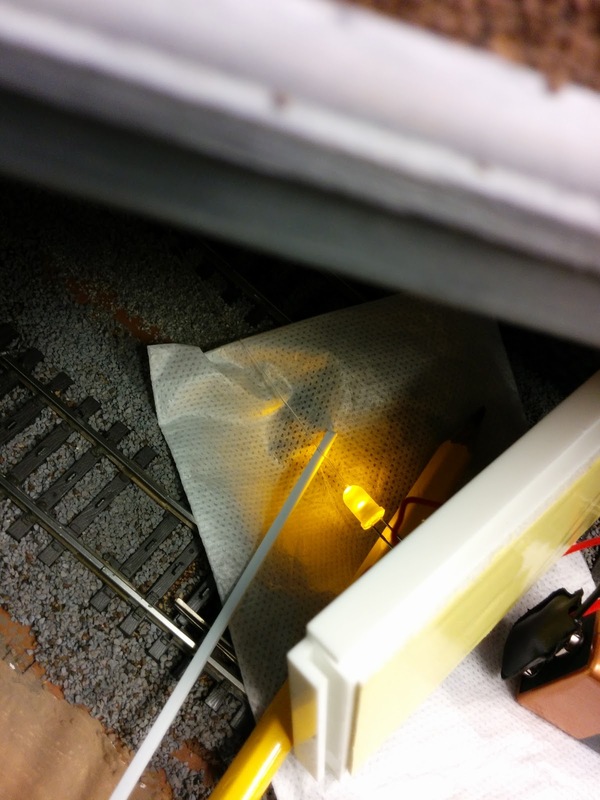 A yellow LED lights the other end of the fiber. In combination with leakage from the fiber this creates the rocket launch effect. Finally, the photo was taken with a Nexus 6 Android smart phone, placed directly on the tracks, and supported at the correct angle with random wood working tools I had handy. I turned off the regular room lights, and only left a single blue bulb on to simulate night light. Since the yard lights didn't really illuminate the scene, I added some additional spot light with a small LED flash light. 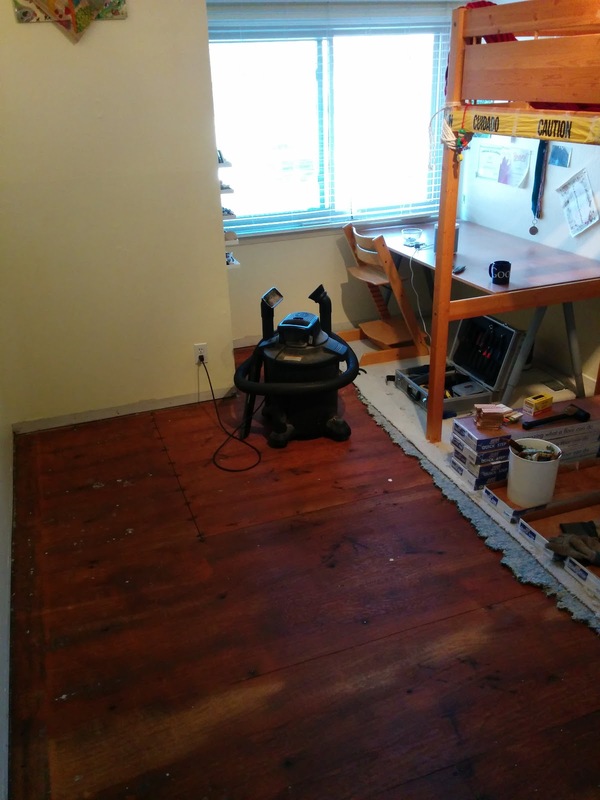 Second bedroom painted, half the of the carpet removed and I started to lay new laminate flooring. 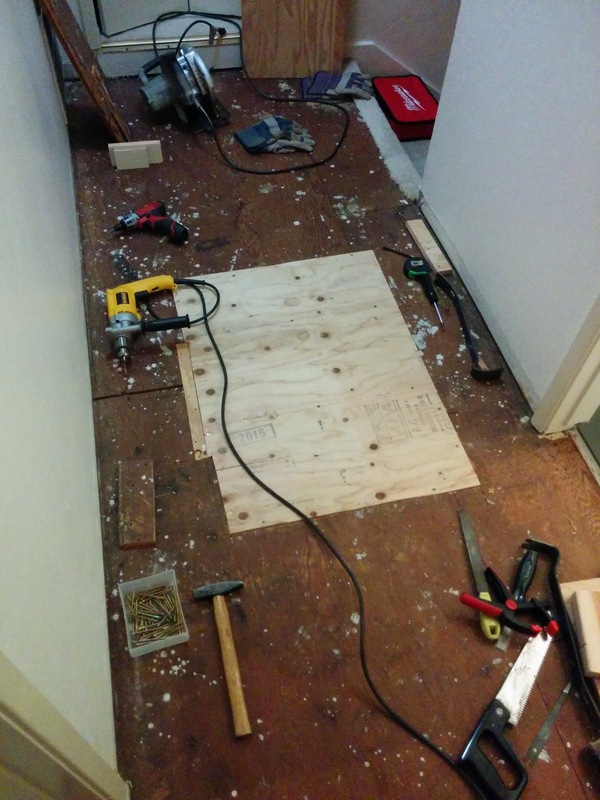 I (again) stopped when it became too dark outside to safely work with the table saw. 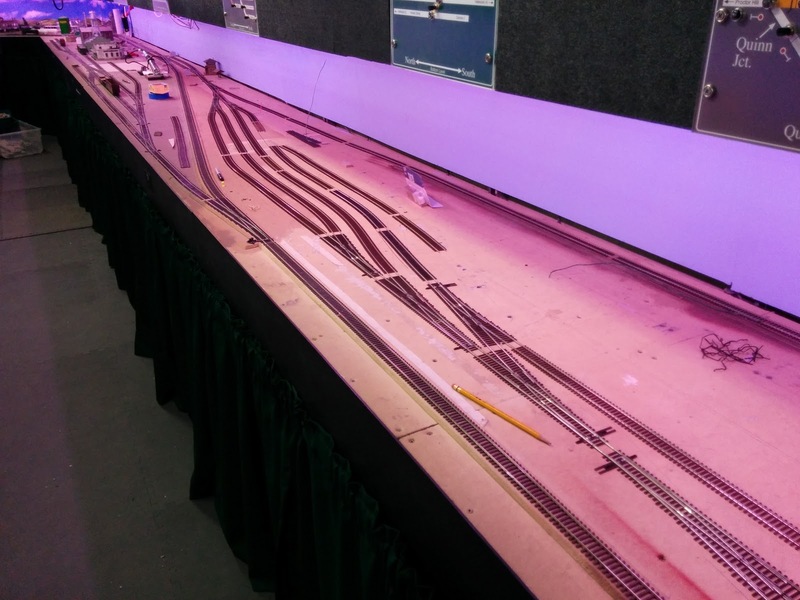 There was quite some interest from the SVL membership to not have yet another straight yard, as well as concerns around curves as yard tracks attach to the north turnouts. So I took another stab to see if I can get the tracks into a visually pleasing state. Much less prevalence of unmotivated bulges on the tracks. Tracks are now packed much tighter. The warehouse has enough space, and I now need a #6 left-hand turnout, instead of the right-hand turnout I had available. Plain grass areas is boring (compare to the state from 10 days ago), and not prototypical for the Black Forest anyways. There are lots of trees, large and small bushes, as well as other weeds and stuff. 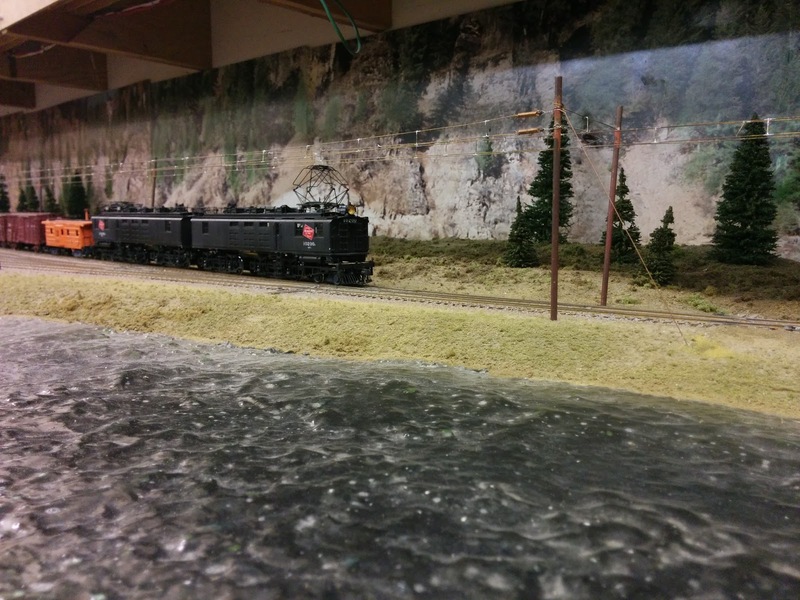 Yesterday evening I set out to add some more bushes to the layout. The large bush near the coaling area started out as a disaster. The colors of these JTT clumps are way too aggressive for my setup. I toned them down by sprinkling on Woodland Scenics medium green fine turf, surround them with medium green Scenic Express Super Turf, add some Super Turf on top for good measure and lightly sprinkly with some WS light green fine turf. I really like the Scenic Express Super Turf. The color of the light green variant is too aggressive, but medium green is great. Using a light dusting of various WS fine turf allows for subtle variation in color. The bushes behind the bumpers on the left are made from Woodland Scenics clumps topped with Super Turf and a light dusting of fine flock. The tree is made from a Scenic Express Supertree armature, flocked with coarse Woodland Scenic medium green foam, colored with green and moss spray paint, and finished with a light dusting of yellow to simulate sun light in the tree. 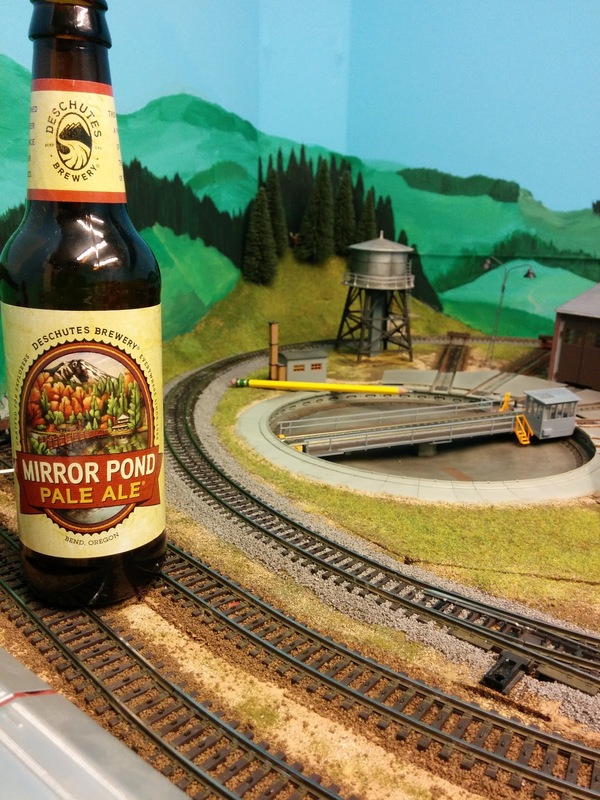 Isopropyl alcohol, Matte Medium, Woodland Scenics medium ballast, and Mirror Pond Pale Ale. The vacation is over. It's time to go back to work tomorrow. All tracks and turnouts in the SVL paper mill are in place. There are no power feeds anywhere in the complex, nor turnout motors. I am not happy with the look of the yard tracks and will make changes the next time I'm down at the club. Nevertheless, most moves for handling freight cars at the paper mill can now be tested. I ran a locomotive and a cut of cars on the new tracks today. So, why am I not happy with the yard tracks? Here's a picture. Look at this mess. 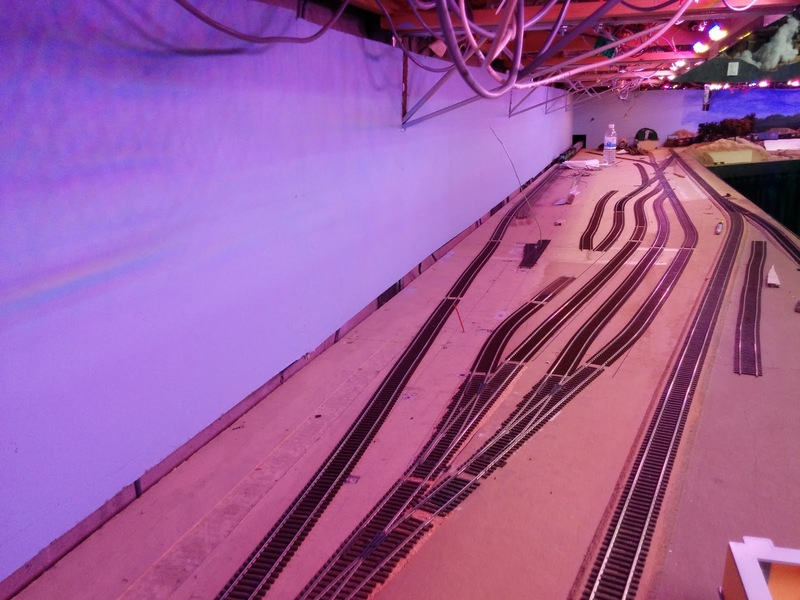 The SVL main line runs through the picture on the left. 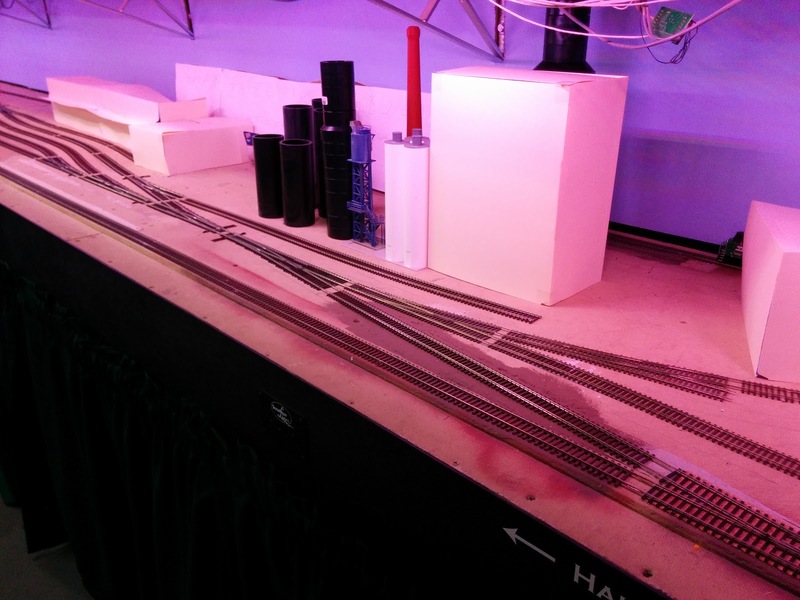 I wanted the track arrangement in the yard to parallel the main line tracks, and get some harmony between the various paper mill tracks and the main line. However, harmony didn't happen. The separation between mainline and the first storage track (the one with the cars), and relatively short track length where storage tracks and main line run parallel conspire to make the eye treat yard tracks and main line as separate things. The arrival track follows the contours of the storage tracks with slightly more separation, which leads to additional ugliness, in particular unmotivated bulges to the right and to the left. Finally, because of that bulge to the right, the run around track and the finished paper warehouse siding are pushed to the back leaving not very much space for the warehouse and make hiding the mine spur more difficult. On the other hand, the ramp off the main line, the chemicals loading track, and wood yard came out as planned. Ich wuensche allen meinen Lesern ein gutes und frohes Jahr 2015. No Photoshops were abused in the creation of this image. A week later I wrote a how-to for this scene.